The association formed in 2006 and covers Roger Mills and Beckam counties. The group addresses the four common reasons people do not use prescribed fire: liability, training/experience, labor, and equipment. Oklahoma State University's Dept. 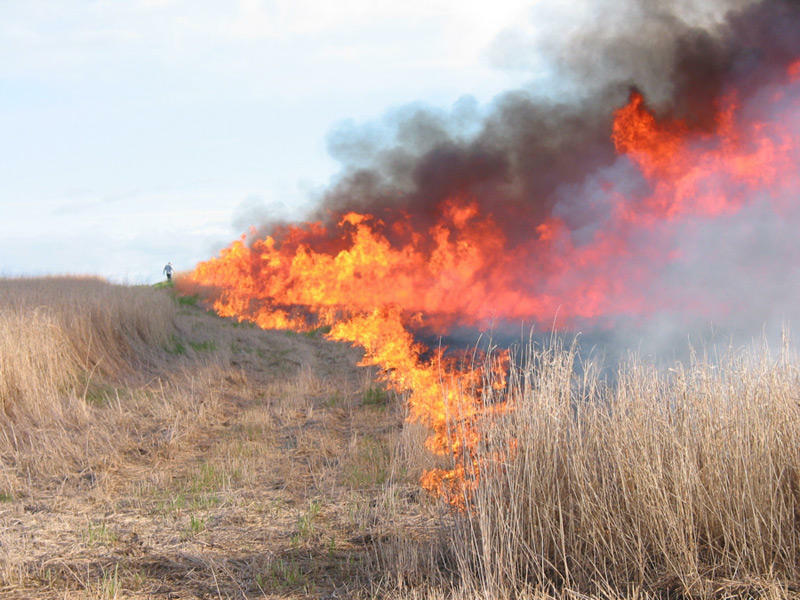 of Natural Resource Ecology & Management is researching effects of limited prescribed burning or "patch burning" to create a mosaic of patches across the landscape. Early research findings indicate better forage grasses and increased biodiversity. 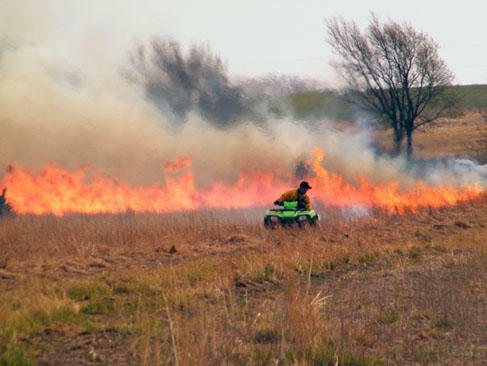 Biologist Peter Berthelsen of Pheasants Forever took action to educate land managers how to burn and created burn trailers stocked with all the hardware required to safely conduct prescribed burns. Scotia, Neb. 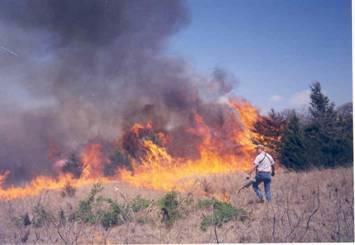 rancher Tom Hartman talks about using fire to control an Eastern Red Cedar invasion. Native Americans used fire to manage rangeland for thousands of years, but a 100-year burning hiatus followed settlement by Europeans of the North American heartland. Those decades of fire suppression allowed invasive plants to negatively alter the landscape. 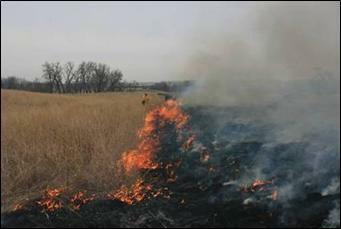 But rangeland researchers and managers are awakening to the benefits of burning. If you see smoke on the horizon, it could be deliberate. Some farmers burn their fields to get rid of plants that are there, and help those that are coming up. Biologist Peter Berthelson of Pheasants Forever took action to educate land managers how to burn and created burn trailers stocked with all the hardware required to safely conduct prescribed burns. 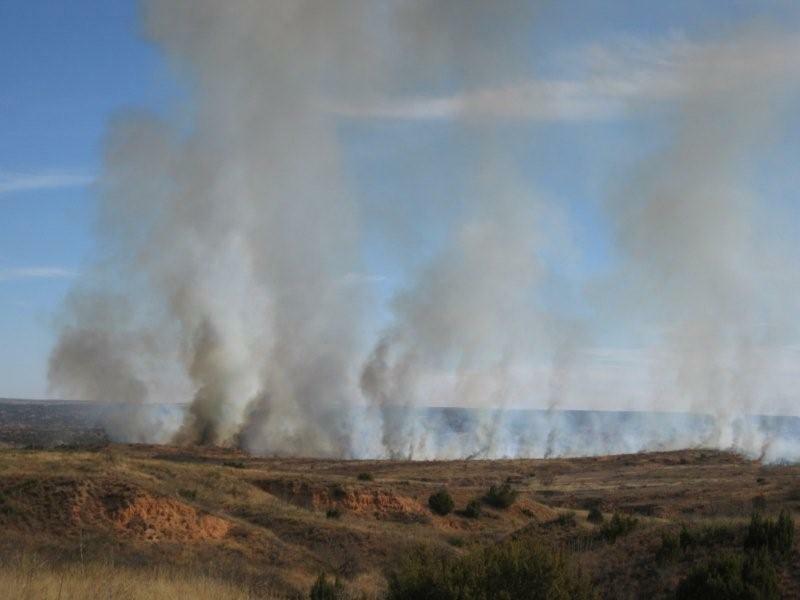 Burning is a cost-effective method of controlling invasions of Eastern Red Cedar, but there's more to burning than simply touching torch to ground. Prescribed burns follow a precise, multi-page "prescription" to ensure efficacy and safety.